Are you running a business that regularly requires document signing? Is the traditional wet-inked signature process delaying your business documentation speed? Are you looking for a secured and cost-affordable solution where you can sign, approve, and store your official business documents much faster and safer? Then, you should consider implementing the electronic signature software. In simple terms, e-signatures are an efficient method for signing and sending off the official business documents as well as improving the business transaction speed. The usage of electronic signature software provides businesses with an additional level of security and authenticity for the purpose of verifying secured business documents. By effectively utilizing the e-signature software, businesses can avoid the tedious task of printing, scanning, and faxing/mailing the documents to the clients or third parties. This can save valuable business time and money in addition to maintaining the integrity of the official electronic business documents. One of the top advantages of electronic signature software is that it can save the official business records and files electronically on an e-signature platform, thus eliminating the locked cabinets as well as reducing the storage space at the same time. In addition to this, the software can help businesses to save time and money. Wherein the traditional signing process, businesses use pen, paper, and other stationery items to obtain the required signatures. However, by using the e-signature solution, businesses can save the money spent on ink bottles as users can now sign business documents electronically on a computer system. Additionally, businesses can transfer documents to the multiple signers and can obtain the signatures back in a few seconds. All of this can happen with the help of the e-signature solution. 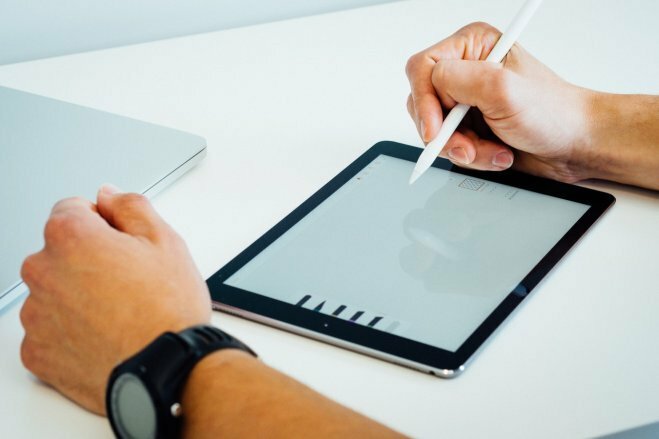 When compared to paper signatures, electronic signatures offer a higher level of security to business documents. However, in the ink-based signing process a person can easily copy your hand-written signatures.. But, this is not possible using the e-signature platform. A user must have the specific computer system and the signing certificate password in order to forge the electronic signatures’ in real-time. Moreover, the document management dashboard in the electronic signature platform provides users with the ability to check the status of their e-signature requests. By using the dashboard, senders of business documents can effectively cross-check whether the business files have been received by the client, if the client has opened those files, and if the client has signed the document, etc. This real-time status will help businesses to strategically follow-up and send reminder emails to clients so they can sign the business documents and send them back in an appropriate amount of time. The electronic signature software is a worth-while investment for any business to boost business transaction speed, improve industry efficiency, reduce the cost spent on various business operations address customer concerns, keep customers’ updated, improve customer service, and increase business cash flow. Besides, the use of electronic signature technology offers many more significant benefits to the businesses of all sizes, including the small and mid-sized businesses. What are you waiting for? Do you want to purchase e-signature solution for your business? Sign up for a free live demo today!